While their ad will be competing with Super Bowl ads of big brands, this particular would surely give them a competitive advantage and also help them to stand out in the crowd. But to make things even better, they have also come up with a great plan as well. Instead of one single ad, they have come up with two Super Bowl ads which almost have the same theme in two different versions which are the human version and the puppy version. The idea might seem weird to many, but the Super Bowl fans can easily understand the reason behind this. Since the big game has a puppy version, the creators of the CarMax Super Bowl also decided to utilize this and come with a human and a puppy version ad for their brand. The human “Slow Clap” ad follows a CarMax customer as he leaves CarMax with his perfect car. While driving around town, he receives Slow Claps from various interesting characters applauding his choice to start at CarMax. The online-only puppy ad is a four-legged replica of the human storyline. All the cute dogs in this puppy version are wearing cute dresses and replacing the human characters in the human version ad. In the puppy version, the Slow Claps are replaced by Slow Barks. This is so funny that you have to see it for yourself. While many businesses are happy with one single ad for the Super Bowl, CarMax isn’t leaving any chances to get the upper hand in the popularity competition. This time, the broadcasters are charging the highest amount of air an ad in the Super Bowl event. 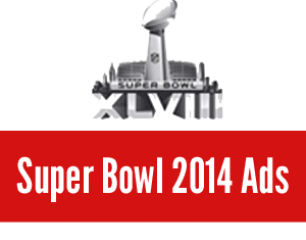 It is around $4 million to air a Super Bowl 2014 ad and certainly not a small amount. Since the Super Bowl is supposed to bring in more than 13 million spectators, they are well justified when they are charging such a big amount. But all the big brands are already lined up with their Super Bowl 2014 ads and CarMax had to do something different to stand out in the crowd. This is why; they have used this idea and broadcasting a longer ad than most of their competitors. Although we have been going through a number of Super Bowl 2014 ads, we have found this ad really interesting. Although some of the people at I4U were a little bit disappointed with the Human Version of the CarMax ad, they were instantly excited to see the puppy version. To us, the human version would be simply boring without the puppy version. On the other hand, the puppy version wouldn’t be that much interesting unless there wasn’t the human version to elaborate the storyline. Hence, we can say these two versions are actually completing each other and making the CarMax Super Bowl 2014 ad a super success.